Part "green systems and recreation" to the General Plan of Yambol and his land. Master plan of the municipality Puppet - final draft. Detailed plan - a plan of regulation. Specific detailed plan of the ski area "Aleko." 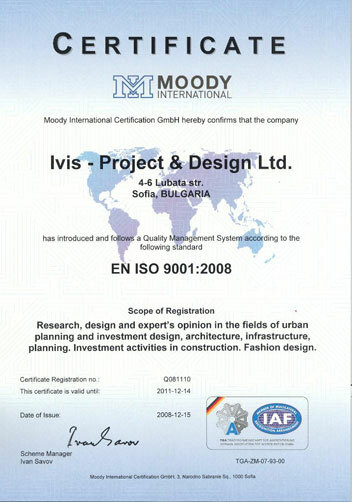 IVIS - Project & Design Ltd. has been given ISO 9001 certificate.